You can find your original User Name (referred to as your Customer Number) in the welcome email or letter which was sent to you when you opened your current account. If you have since changed it, please call our Customer Service Team on 01228 403 141. 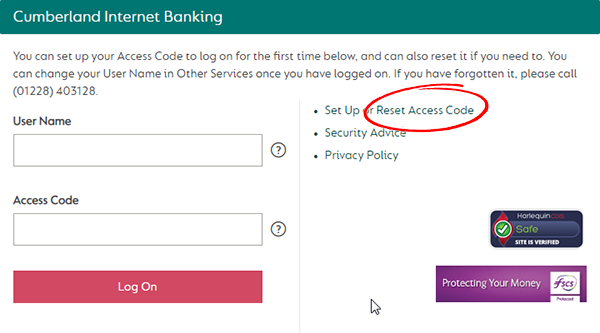 You can reset your Access Code by selecting the link on the logon page. Otherwise please call our Customer Service Team on 01228 403 141. If you have forgotten your Memorable Word, please call our Customer Service Team on 01228 403 141. If your access to Internet Banking has been suspended, please call our Customer Service Team on 01228 403 141.